Liberty has a rich history of educating students for over 100 years! Today it is a kindergarten through fifth-grade school with an enrollment that averages around 390 students. 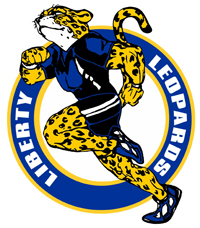 Our mascot is the Liberty Leopard. Child Care Service is available on-site through the Salem Child Development Center. For more information you may contact them at 503-363-9821. We are also home to two preschool classes–a Headstart class and a tuition-based preschool. For more information on preschool, please call 503-399-5510. Liberty was built in 1908, with additions including concrete-steel extensions added in 1978 and 1993. Most schools that share a name with their community take their name from the community. In the case of Liberty Elementary, the opposite seems to be true. For instance, Liberty Road was named after the school at the close of the Civil War, which reflected a community desire for liberty and freedom.